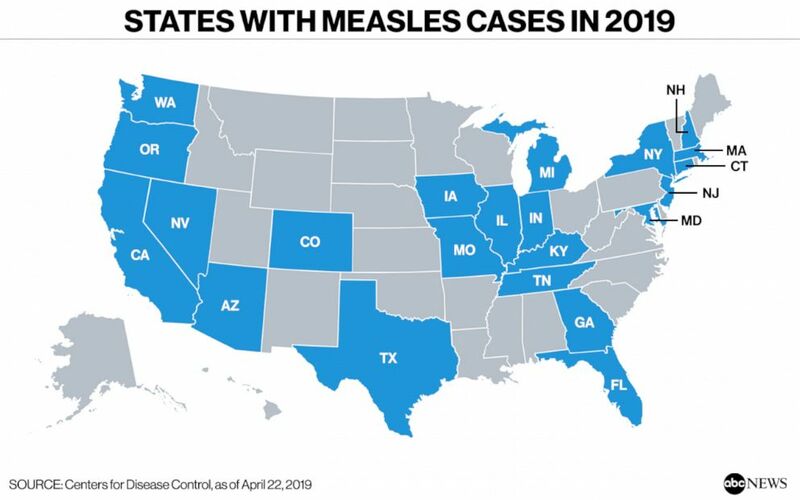 The number of measles cases in the U.S. so far this year is approaching the record for the decade — and in just four months time, according to new data. 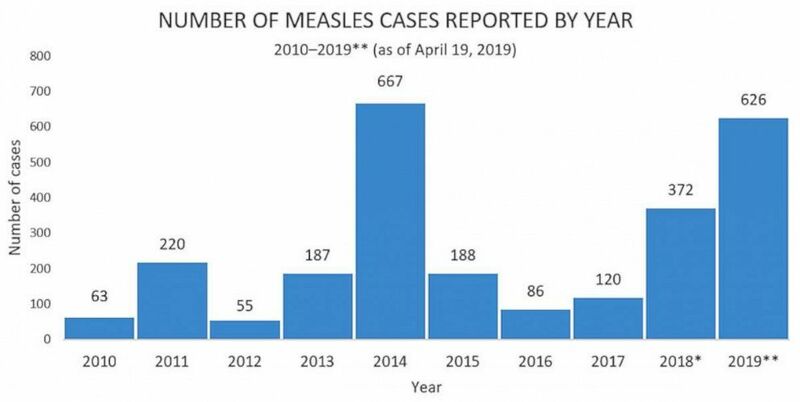 The Centers for Disease Control and Prevention reports that there have been 626 confirmed cases of measles so far this year, an increase of 71 new cases since last week. Two new states — Iowa and Tennessee — join the list, bringing the total to 22. The only year when there were more cases reported in the United States since the disease was eliminated in the U.S. in 2000 was in 2014 — 667. “In the coming weeks, 2019 confirmed case numbers will likely surpass 2014 levels,” the CDC said in its update Monday. Number of measles cases reported by year. Separately, officials in New York’s Rockland County noted that there have been 194 confirmed cases there in 2019. Of those, 80.8% of the infected individuals never received the measles-mumps-rubella (MMR) vaccine, Rockland County officials report. Officials in New York are trying to take action to curb the spread of the highly contagious disease, for example, by fining people who refused to get vaccinated in designated areas as mandated by the mayor’s office.